Although Casein Hydrolysate and Micellar Casein are different forms of the same protein, these two types of casein have some very different properties that distinguish them from one another and suit them to different purposes. Casein, like whey, is a dairy protein, and makes up 80% of the protein in milk. Also like whey, it is a complete and high quality protein, is easily digested, and rich in BCAAs. Casein can stimulate the production of anabolic hormone IGF-1, and it is rich in minerals. Micellar casein is the native form of casein found in milk. Casein molecules are amorphous and form tiny round structures called micelles which float suspended in solution. A micelle consists of thousands of molecules of casein clustered around an inner core, which is rich in calcium phosphate (1). When micellar casein is exposed to acid in the stomach, it curdles into a large bolus, or clot, which is then digested slowly over many hours. It is this feature that gives micellar casein many of its unique properties (2). The casein bolus is digested slowly, over a time period of up to seven hours, supplying the body with muscle building amino acids, maintaining a positive nitrogen balance and keeping the body in an anabolic state (3). For these reasons, micellar casein is said to be "The only non-catabolic protein in existence" (2). Micellar casein is most commonly used as a night time protein, taken before bed, to help supply the body with amino acids during sleep, which is when the body repairs and builds muscle. It is also a common ingredient in everyday blended proteins where it ensures an extended release of aminos. Hydrolysis is a form of digestion that breaks down proteins into smaller peptides, or amino acid chains. Proteins like casein and whey are usually hydrolysed using digestive enzymes. Hydrolysis prevents casein micelles from forming, which means the casein does not form a bolus in the stomach. Instead, it is rapidly absorbed and digested, at a rate similar to other hydrolysed proteins, like whey (4). This means that casein hydrolysate is best suited to use when protein is needed fast, like straight after a workout, where the positive balance of amino acids can stop muscle breakdown that occurs after exercise (3). Casein Hydrolysate or Micellar Casein? Both types of casein contain a full complement of amino acids and are easily digested, absorbed, and readily utilised to form muscle within the body (4). 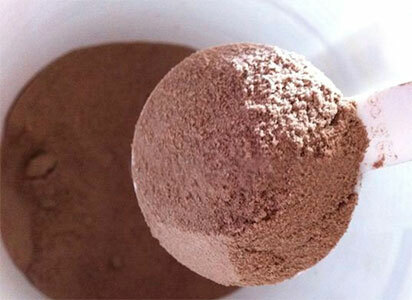 Casein hydrolysate is a pre-digested, rapidly acting protein. It has a similar amino acid complement to whey, at around 20% BCAAs, it is a great choice of fast protein to take after a workout, where it will aid recovery and avert muscle breakdown. On the other hand, the long-lasting properties of micellar casein mean it is great for steadily supplying amino acids to the body over a long period of time, for example, during sleep. When comparing micellar and hydrolysed casein, it is important to note that this is not a case of one protein being better than another. These two forms of casein complement each other, and are suitable under different circumstances. Taking both a fast acting and a slow acting protein as part of a supplement regime is a wise idea, and these two high quality proteins can cover all your bases. (1) Holt C, Carver JA, Ecroyd H, Thorn DC. Invited review: Caseins and the casein micelle: their biological functions, structures, and behavior in foods. J Dairy Sci. 2013 Oct;96(10):6127-46. (4) Koopman R, Crombach N, Gijsen AP, Walrand S, Fauquant J, Kies AK, Lemosquet S, Saris WH, Boirie Y, van Loon LJ. Ingestion of a protein hydrolysate is accompanied by an accelerated in vivo digestion and absorption rate when compared with its intact protein. Am J Clin Nutr. 2009 Jul;90(1):106-15.